Caterpillar has unveiled the first model in what it says will be a range of hybrid excavators. The Cat 36 tonne class 336E H is the company’s first machine to use hydraulic hybrid technology developed internally by Caterpillar. The move by Caterpillar is unusual in so far as other hydrid excavators that have come onto the market over the last few years have tended to be around the 20 tonne mark, a high volume segment of the industry and by far the most popular class of excavator in China, the world’s largest excvavator market. Gary Stampanato, Caterpillar vice president with responsibility for the excavation division said, “The 336 excavator – a recognised industry-leading workhorse in our product line – made the most sense as our first choice for applying the unique hybrid technology. Caterpillar defines a hybrid machine as one that is equipped with a device to collect, store and release energy during machine operation. 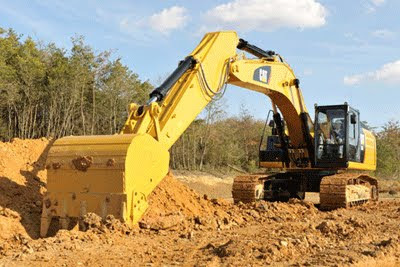 The company said the 336E H captures energy when the machine slows down or stops, and then releases it as the machine accelerates, adding that in many applications, an excavator may repeat the same cycle every few seconds, which represents a significant energy savings opportunity. The official launch of the Cat 336E H will be in April 2013 at the Bauma, exhibition in Munich, Germany. Cat dealers will begin taking orders in February 2013, with factory shipments beginning the following month.